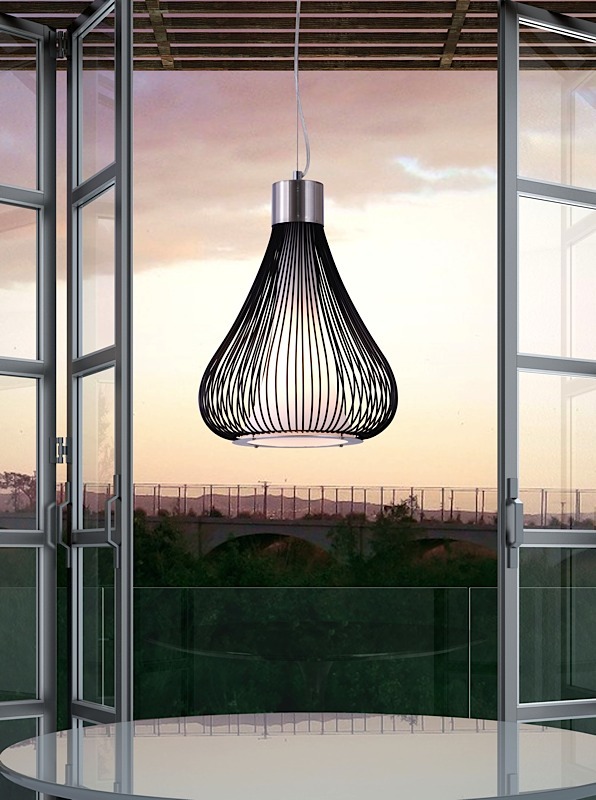 A fluted frosted glass cone is housed by a contrasting black wire shell, creating the stylish Wiry Pendant Lamp. 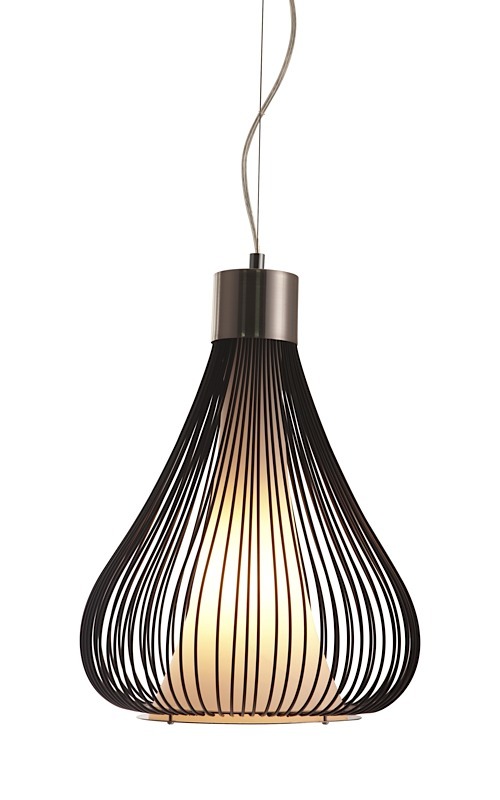 A modern blend of contrasting shapes and material, Wiry is a cool addition to any modern space. 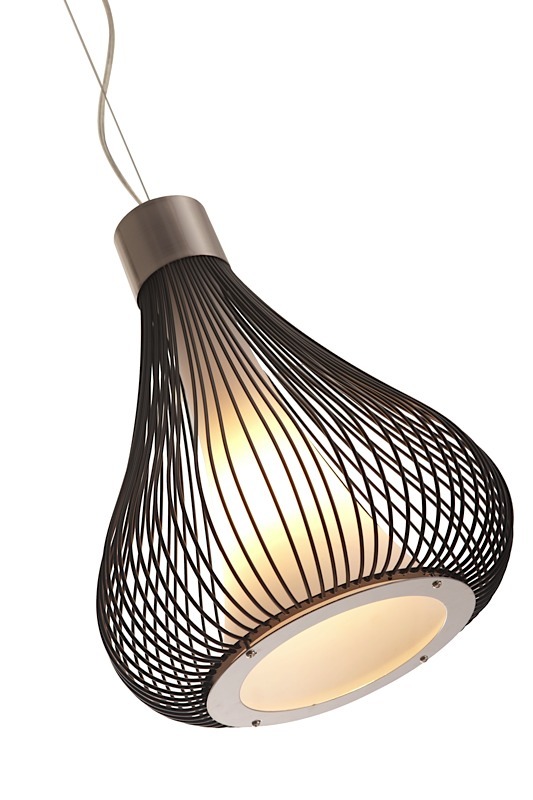 Wiry requires one (1) standard type A 60W max bulb (not included). 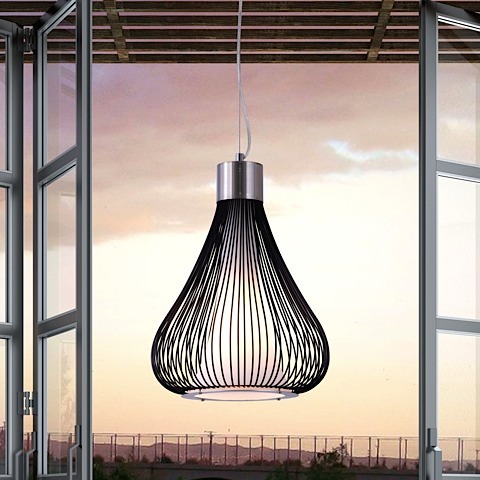 Cord length is adjustable up to 55-inches.